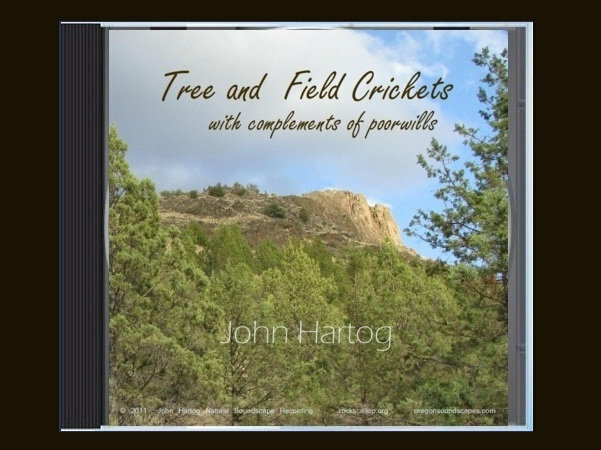 "Tree and Field Crickets with complements of poorwills" is now available as a professionally reproduced and printed CD album. 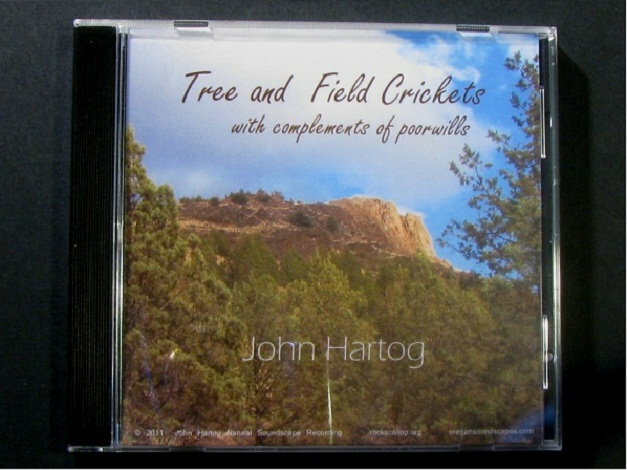 Enjoy the album art while playing this CD on any CD player. 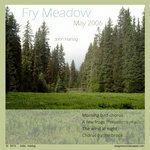 Click on the small images above to preview the album artwork. 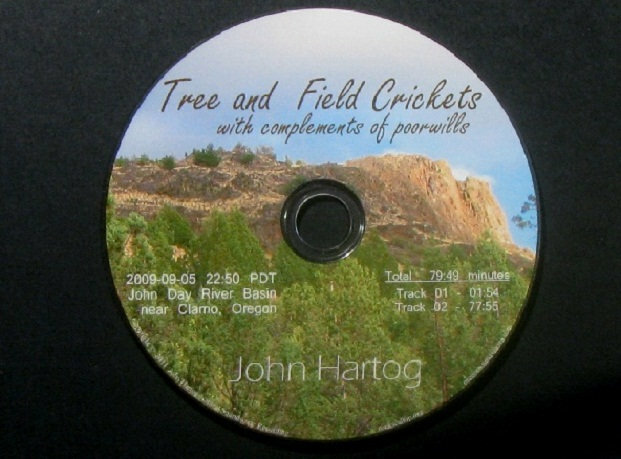 Includes unlimited streaming of Tree and Field Crickets with complements of poorwills via the free Bandcamp app, plus high-quality download in MP3, FLAC and more. 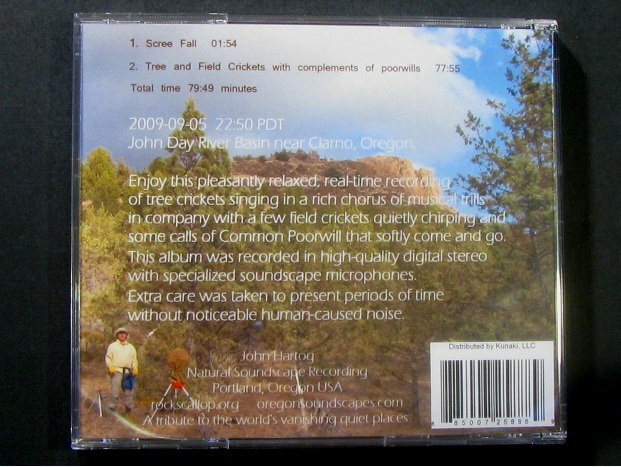 The mild and calm, full moon night in early September followed an unusual late summer rainfall that brought just enough moisture to enliven the arid grassland and juniper forest canyonland with a robust cricket chorus and optimal sound recording conditions. 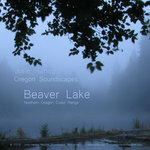 The complete album consists of two tracks - one short prelude followed by one long 78 minute uninterrupted stereo soundscape. 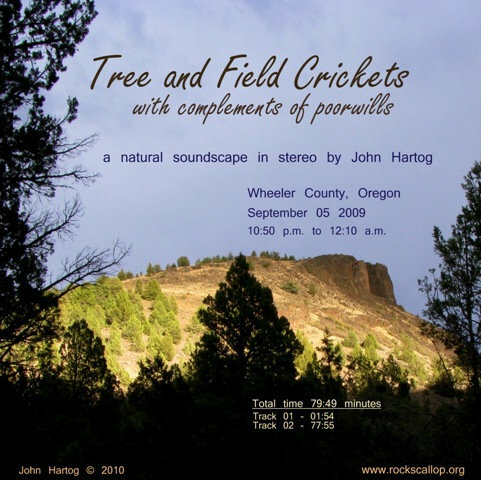 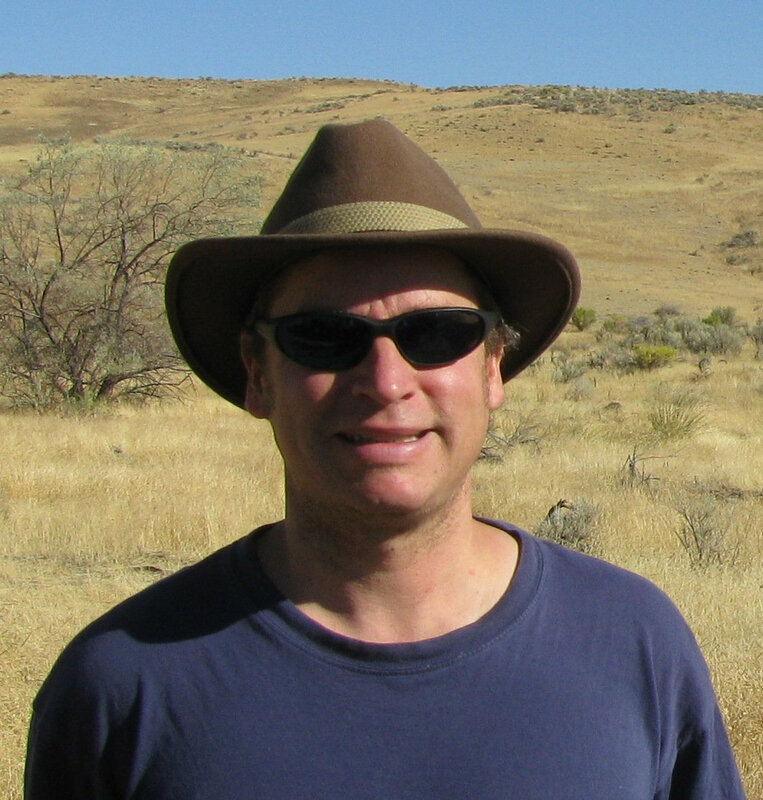 in company with a few field crickets quietly chirping and some calls of Common Poorwill that softly come and go. 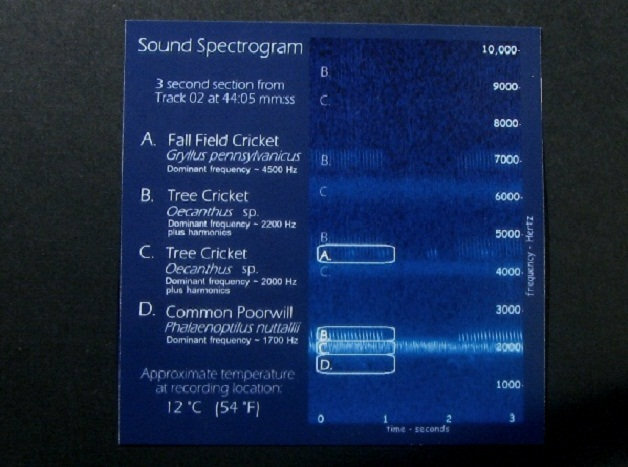 This recording will sound great on any stereo sound system, or headphones.